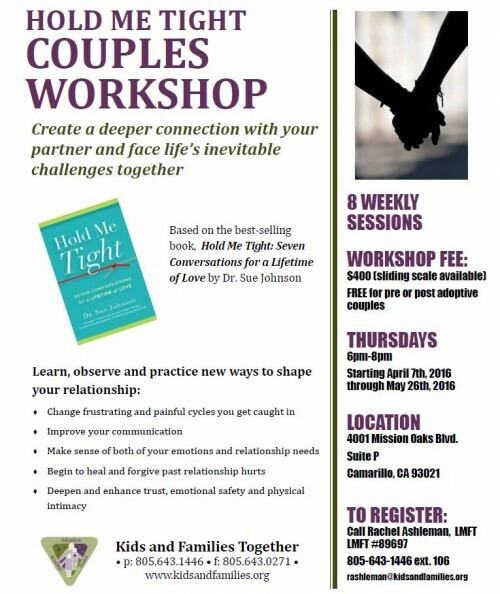 Join our newest Hold Me Tight Couples Workshop beginning April 7th-May 26th! 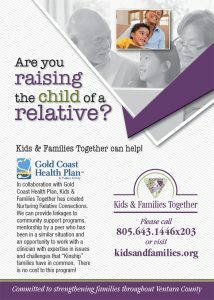 This group will be every Thursday evening from 6pm-8pm at Kids & Families Together’s Camarillo office. For more information, please click on the flyer & contact Rachel Ashleman at (805) 643-1446 ext. 106, for any questions.